Wednesday 03 Seniors v's Ladies at 11.00am. Saturday 06 H'cap qualifier white boxes, Junior monthly medal, Ladies Coronation foursommes. Sunday 07 H'cap qualifier-yellow boxes, Ladies H'cap qualifier. Saturday 13 h'cap qualifier-yellow boxes, Ladies Centenary 4somes Monday 22nd April-Saturday 27th April. Junior Stableford. Monday 15 Neath Classics v's Mountain Ash at 11.30. Thursday 18 Seniors v's Carmarthen away. Ladies Glamorgan county match. Friday 19 h'cap qualifier yellow boxes. Saturday 20 h'cap qualifier yellow boxes. Monday 22 h'cap qualifier yellow boxes. Tuesday 23 Men's 2nd Team v's 3rd Team at 5pm. Monday 29 Seniors v's the Vale away. Thursday 02 H'cap qualifier-yellow boxes,Ladies 1st team v's Clyne at 4pm, Ladies 3rd team v's Fairwood away. Friday 03 Men's 1st team at 17:15 V's Neath 2nd team. Saturday 04 H'cap qualifier white boxes, Junior monthly Medal, Ladies Chamionship qualifier. Sunday 05 H'cap qualifier yellow boxes. Tuesday 07 Ladies 2nd Team v's P&K at 10:04. Wednesday 08 Green box stableford H'cap qualifier. Thursday 09 Stableford H'cap qualifier yellow box. Quartz v's Pennard away. Friday 10 David Saunders(DVLA) society 13:00-14:20. Juniors match v's Swansea Bay at 5pm. Tuesday 14 Ladies Medal 1. Stones v's Pennard home at 5pm. Thursday 16 H'cap qualifier yellow boxes,Ladies 3rd team v's Pennard at 12:04-12:28,lloyds bank society at 13:00-13:24, Ladies 1st team at 15;56-16:20. Friday 17 John Bryant society at 11:00-11:24,JBGS at 11:40-12:20,NWY society at 13:00-13:24,mens 1st v's 2nd at 17:16-17:40. Saturday 18 H'cap qualifier-yellow boxes. Junior Stableford. Tuesday 21 Ladies 2nd team v's Langland at 10:04-10:28, Ian Cairns society at 12:04-12:20. Wednesday 22 Seniors v's carmarthen home at, 11:00-11:56, Mens 2nd team v's Pennard home at 17:00-17:16. Thursday 23 H'cap qualifier- yellow boxes, Ladies v's Swansea Bay at 10:04-10:20. Friday 24 Men's 1st team v's Morriston home at 17:16-17:40. Saturday 25 H'cap qualifier- white boxes, Kate Jones Cup. Wednesday 29 Senior's v's St. Mary's home at 11:00-11:56. Links v's Swansea bay away. Thursday 30 Ladies 1st team v's Gower at 3.30pm. Quartz, Morriston Cup Match home. Friday 31 H'cap qualifier-yellow boxes. Neath Junior Bell tee 10am-1pm. Sunday 02 H'cap qualifier-white boxes, Mixed open greensomes. Wednesday 05 Seniors v's Morriston home at 11:00-11:56, men's 3rd team v's Glynneath at 17:00-17:32, Stones v's Mond Valley away. Monday 10 Ladies 3rd team v's Pennard at 2pm. 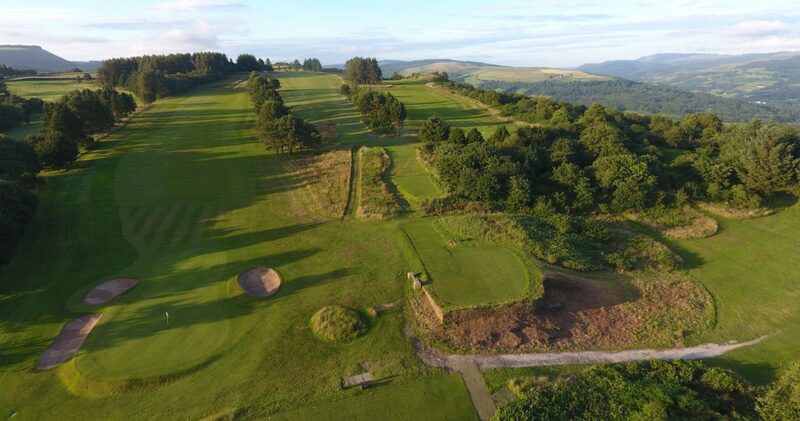 Saturday 15 Stableford h'cap qualifier-yellow boxes, Doris Phillips Rosebowl. Junior Stableford. Sunday 16 Monthly Medal- White boxes,Ladies Medal 4. Monday 17 Lynx v's Langland away. Tuesday 18 Ladies 2nd team v's Coed-Y-Mwster away, Men's 1st team v's Pennard away. Thursday 20 Stableford h'cap qualifier yellow boxes. Quartz v's Swansea Bay away. Friday 21 Green box H'cap qualifier. Saturday 22 H'cap qualiifer-yellow boxes. Junior monthly medal. Sunday 23 H'cap qualifier-white boxes, Lyn owen mixed. Wednesday 26 Seniors v's Maesteg home 11:00-11:56, Men's 2nd team v's Morriston home at 17:00-17:16. Saturday 29 H'cap qualifier-white boxes, Rhian Pearn Qualifier. Sunday 30 Rhys Rees Cup, John Higgins Society at 13:00-13:16. Thursday 04 H'cap qualifier-yellow boxes. Quartz v's Glynneath away. Saturday 06 H'cap qualifier-yellow boxes. Junior Monthly Medal. Tuesday 09 Seniors v's Maesteg away. Links v's Fairwood away. Saturday 20 H'cap qualifier-white boxes. Junior stableford. Monday 22 Stones v's Swansea bay away, Lyn Thomas Cup. Saturday 27 H'cap Qualifier-yellow boxes, parent and Offsring, Vera Davies Salver. Friday 02 Company day-Shotgun start. Saturday 03 Stableford Handicap Qualifier - White Boxes. Junior monthly Medal. Monday 05 Commencement of course maintainance course closed until 9:00am, ladies 2nd team v's P&K away. Tuesday 06 Maintenance - Course CLOSED till 9:00am. Links v's Swansea Bay home. Friday 09 H'cap qualifier-yellow boxes. Links v's Langland bay home. Saturday 10 H'cap Qualifir-yellow boxes, Ladies 1st team v's Clyne away. Tuesday 13 Green box H'cap Qualifier, Ladies 1st team v's Cotteril park away. Wednesday 14 Seniors v's Pennard away. Quartz v's Fairwood at 5pm. Thursday 15 Stableford H'cap qualifier yellow box. Junior Club Championships tee 09.30-10.30 and 14.30-15.30. Saturday 24 H'cap qualifier-yellow boxes, Bruce Hughes mixed foursomes. Junior Stableford. Sunday 25 H'cap qualifier-white boxes,ladies 2nd team v's Pontardawe away. Saturday 31 H'cap qualifier-white boxes. Sunday 08 H'cap qualifier-white boxes, Ping mixed qualifier. Saturday 14 H'cap qualifier-White boxes, Past Captains. Junior Monthly Medal. Sunday 22 Monthly Medal (6), Ladies Stableford Qualifier. Saturday 05 H'Cap qualifier-White boxes, Mary Nicholls 4somes. Saturday 19 Winter League (3), Daily Mail 4somes. Tuesday 05 Ladies xmas hamper comp. Thursday 07 Stableford comp-Winter mats. Thursday 14 Stableford comp-winter mats. Thursday 21 Stableford comp-Winter mats. Saturday 30 Stableford comp-Winter mats. Thursday 05 Mid week stableford-Winter mats. Thursday 02 Mid week stableford-Winter mats. Thursday 09 Mid week stableford-Winter mats. Thursday 16 Mid week stableford-Winter mats. Thursday 23 Mid week stableford-Winter mats. Thursday 30 Mid week stableford-Winter mats. Thursday 06 Mid week stableford-Winter mats. Thursday 13 Mid week stableford-Winter mats. Thursday 20 Mid week stableford-Winter mats. Saturday 22 Stableford comp-Winter mats. Thursday 27 Mid week stableford-Winter mats. Friday 20 Winter League Dinner.